thebar provides the information contained on this website and any of the pages comprising the website to you subject to the terms set out herein and referenced herein. By accessing and using this website, you shall be deemed to have agreed to all the terms. 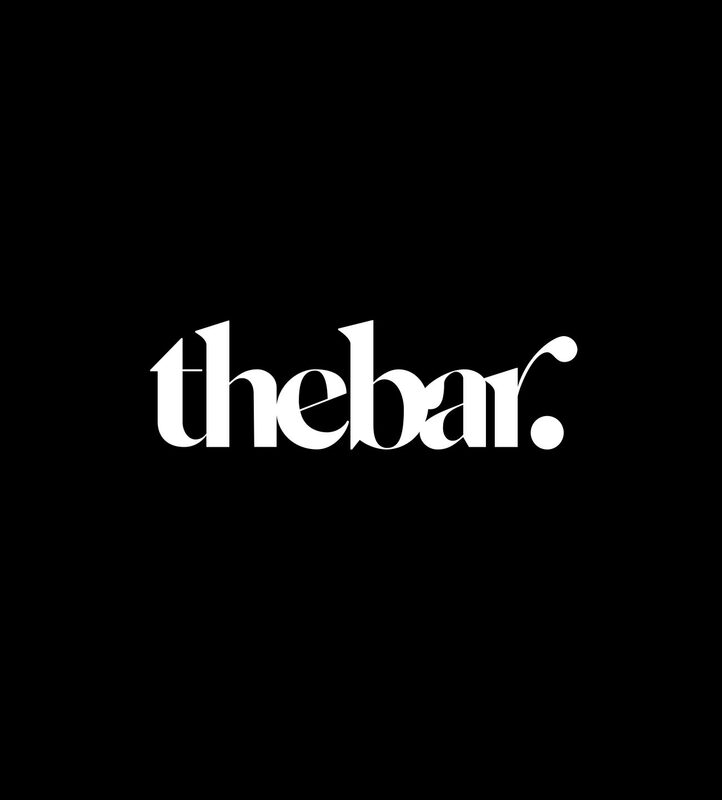 thebar may at any time modify the terms and your continued use of the website will be subject to the terms in force at the time of your use. Accordingly you agree to review the terms periodically, and your continued access or use of the website shall be deemed to be your acceptance of the amended terms. Whilst every effort is made to update the information provided on this website on a regular basis, thebar makes no representations or warranties, whether express, implied in law or residual, as to the accuracy, completeness and/or reliability of any information, data and/or content contained on the website and shall not be bound in any manner by any information. The information made available on the website from time to time, should not at any time be construed as advice of whatever nature. thebar reserves the right at any time to change or discontinue without notice, any aspect or feature of this website. No information contained on the website shall be construed as advice and same are offered for information purposes only. Copyright and all intellectual property rights in all materials, texts, drawings and data made available on this website (collectively “materials”) are owned by thebar alternatively, thebar is the lawful user thereof and is protected by both South African intellectual property laws. Accordingly, any unauthorised copying, reproduction, retransmission, distribution, dissemination, sale, publication, broadcast or other circulation or exploitation of such materials or any component thereof will constitute an infringement of such copyright and other intellectual property rights. You may, however, use the materials or any component thereof for internal business purposes. The trademarks, names, logos and service marks (collectively “trademarks”) displayed on this website are registered and unregistered trademarks of thebar Nothing contained on this website should be construed as granting any license or right to use any trademarks without the prior written consent of The Bar. External links may be provided for your convenience, but they are beyond the control of thebar and no representation is made as to their content. Use or reliance on any external links provided is at your own risk. When visiting external links you must refer to that external website’s terms and conditions of use. No hypertext links shall be created from any website controlled by you or otherwise to this website without the express prior written permission of The Bar. thebar makes no warranties, representations, statements or guarantees (whether express, implied in law or residual) regarding the website and any of the information contained on or referenced by the website. Without limiting the generality of the aforegoing, thebar gives no warranty of whatever nature regarding the accuracy or appropriateness in any jurisdiction of any information provided on or referenced by the website. Accordingly, the website is made available and the information is provided to you on an “as is” basis. thebar shall not be responsible for and disclaims all liability for any loss, liability, damage (whether direct, indirect, or consequential), personal injury or expense of any nature whatsoever which may be suffered by you or any third party, as a result of or which may be attributable, directly or indirectly, to your access and use of the website and any information contained on or accessed via the website. You, hereby indemnify thebar and waive any rights you may have or obtain against thebar in respect of any loss, liability, damage (whether direct or consequential) or expense of any nature whatsoever, which may be suffered by such you and/or third party as a result of or which may be attributable directly or indirectly to any of the aforesaid. Without limiting the generality of the aforegoing thebar shall not be responsible for and disclaims all liability for any loss, expense or damage of whatever nature incurred or sustained by you or any third party, due to – (i) any failure and/or unavailability of the website for any reason whatever and/or the failure/delay by any third party service provider to render any services which are necessary to ensure the availability and proper functioning of the website; and (ii) your use of or reliance on any information offered on or via the website. thebar is sensitive to the private nature of information you provide to us over the Internet. When you use the website you may be providing thebar with your personally identifiable information. In addition, our web servers may automatically collect web site usage information from you when you visit our website. Website usage information informs us about how our visitors and subscribers use and navigate our website, including the number and frequency of users to each webpage, their IP address and the length of their stays. We may combine the personally identifiable information you provide thebar with other information about you that is available to us, including website usage information and information from other sources. We may use this information to inter alia enable us to improve your experience on the website, to improve and develop new products, features and services, to provide marketing with aggregate information about our user base and usage patterns, to allow us to personalise the advertising users see based on their personal characteristics or preferences and for other purposes. We may share such information with third parties to help us improve our content and for the purposes as aforesaid. These terms constitute the sole record of the agreement between you and thebar in relation to the subject matter hereof. Neither you nor thebar shall be bound by any express tacit nor implied representation, warranty, promise or the like not recorded herein. These terms supersede and replace all prior commitments, undertakings or representations, whether written or oral, between you and thebar in respect of the subject matter hereof. No addition to, variation or agreed cancellation of any provision of these terms shall be binding upon either you or thebar unless agreed to by “Company Name”. No indulgence or extension of time which either you or thebar may grant to the other will constitute a waiver of or, whether by estoppel or otherwise, limit any of the existing or future rights of the grantor in terms hereof, save in the event or to the extent that the grantor has signed a written document expressly waiving or limiting such rights. Should thebar be prevented from fulfilling any of its obligations to you as a result of any event of force majeure, then those obligations shall be deemed to have been suspended to the extent that and for as long as thebar is so prevented from fulfilling them and your corresponding obligations shall be suspended to the corresponding extent. In the event that force majeure continues for more than thirty days after it has first occurred then thebar shall be entitled (but not obliged) to terminate all of its rights and obligations in terms of or arising out of these terms by giving notice to you. An “event of force majeure” shall mean any event or circumstance whatsoever which is not within the reasonable control of the affected party including, without limitation, vis major, casus fortuitus, any act of God, strike, theft, riots, explosion, insurrection or other similar disorder, war (whether declared or not) or military operations, the downtime of any telecommunications line and/or unavailability of any telecommunications facilities, power failure, international restrictions, any requirement of any international authority, any requirement of any government or other competent local authority, any court order, export control or shortage of transport facilities.